The king and queen buildings are easily recognized in this city. Completed in 1988 and 1991, the 34-story towers are officially Concourse Corporate Center V and VI, but are known locally as “the King and Queen towers” because their white lattice crowns resemble the heads of chess pieces. At night they add a great spark to the Atlanta skyline that we all know and love. 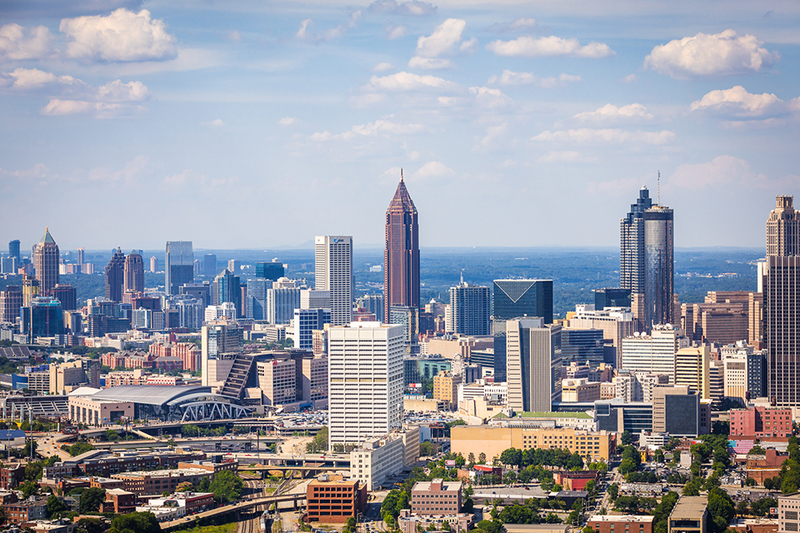 Loop around the King and Queen and then over to Buckhead to enjoy some of the cities prime communities, including the Governor’s Mansion. Check out the best of Atl’s upscale spots and some of the city’s most luxurious homes. First, it’s North to Buckhead to view one of Atlanta’s finest neighborhood communities, including a view of the Governor’s Mansion. Get a glimpse of all the best upscale hot spots, while viewing some of the most beautiful homes in the city. Then, we head to Midtown to get a glimpse of some of the city’s most popular attractions, including: Atlantic Station, Georgia Tech, The Georgia Aquarium and The World of Coca Cola. 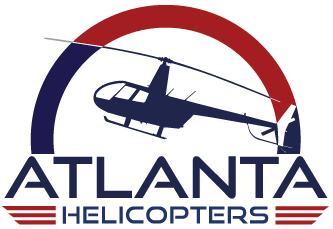 Next, a relaxing glide over Centennial Olympic Park, a pass over CNN and The Georgia Dome, and then over to Turner Field and The State Capitol. 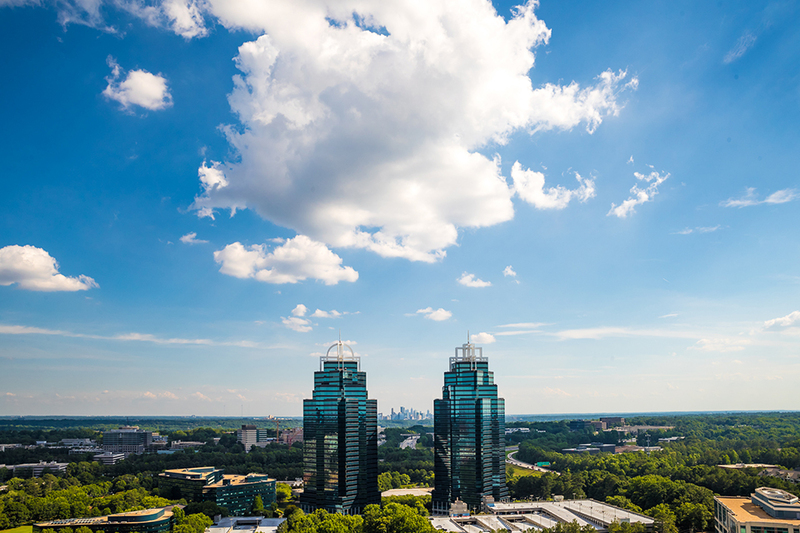 Afterward, we make our way through the some of southeast’s stately towers, as we head over to get a stunning view of Piedmont Park and The Atlanta Botanical Gardens. 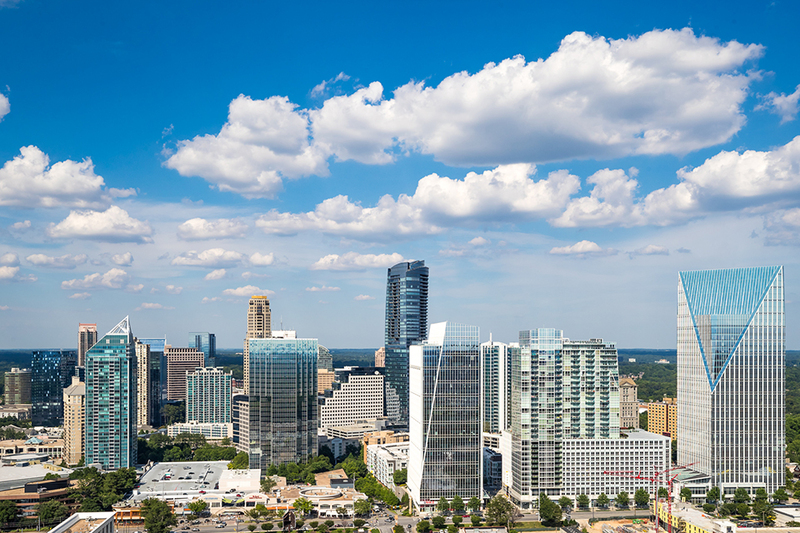 We top it off with leisurely cruise up famous Peachtree Street and through the Buckhead Entertainment District, before heading back to the airport. If you want the best possible way to see beautiful ATL, this is it! 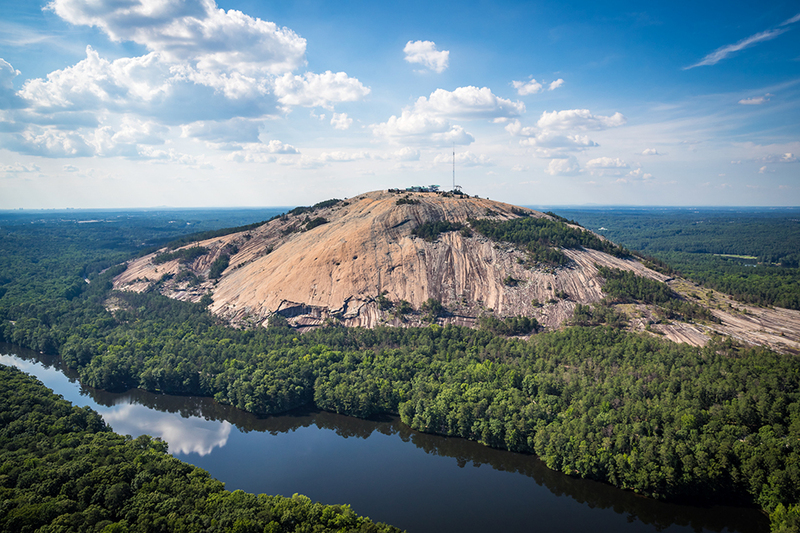 Enjoy a trip around historic Stone Mountain as you’ve never seen it before. The largest high relief sculpture in the world, the Confederate Memorial Carving, depicts three Confederate heroes of the Civil War, President Jefferson Davis and Generals Robert E. Lee and Thomas J. “Stonewall” Jackson. The entire carved surface measures three-acres, larger than a football field and Mount Rushmore. This is an adventure you will absolutely never forget! 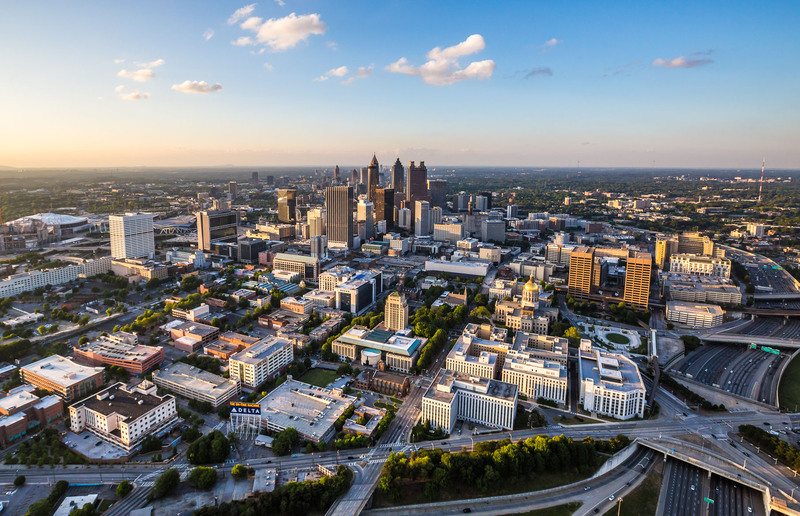 This is a combination of our two most popular tours – the Buckhead/Downtown Tour and Stone Mountain Tour – with an additional perk of seeing Decatur, along the way! Follow the Chattahoochee River, past Dean Gardens, to beautiful Lake Lanier. Enjoy the scenery, as you coast above the trees and around the bends of Georgia’s longest river and largest lake. This tour is truly a Summer and Fall favorite and a great tour, for seeing the transitioning seasons and Fall colors. All of the above in one great package! Follow the Chattahoochee to Lake Lanier. Then it’s a beautiful ride back around Stone Mountain, Decatur, Downtown Atlanta and Buckhead. See it all for one great price!